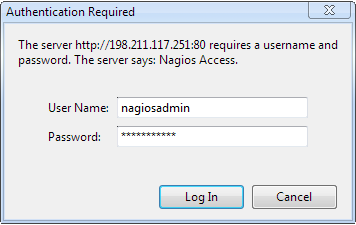 Make sure to keep this username as "nagiosadmin" - otherwise you would have to change /etc/nagios/cgi.cfg and redefine authorized admin. 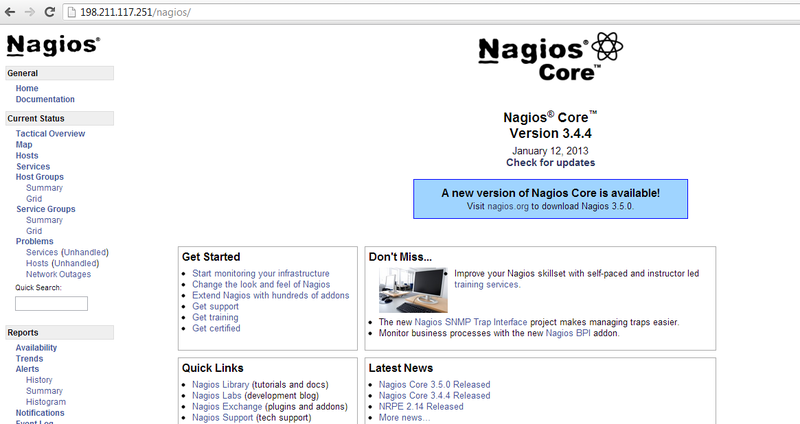 Now you can navigate over to your host's IP address http://IP/nagios and login. 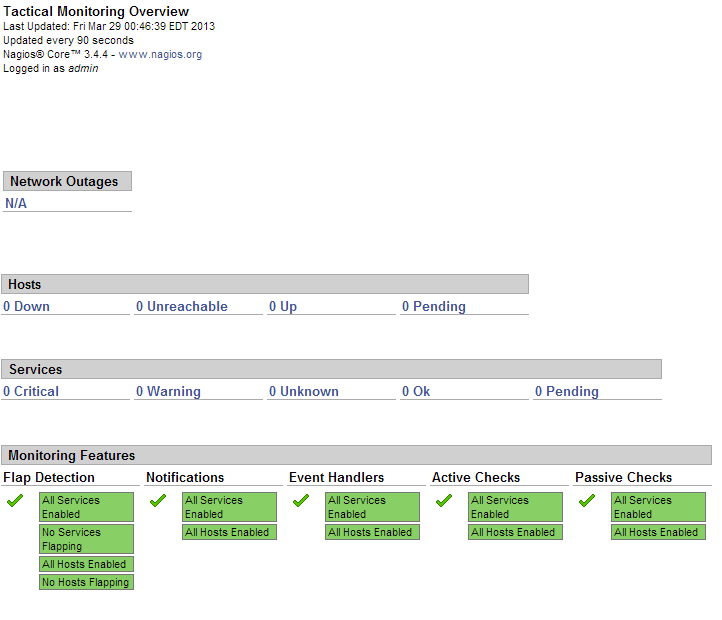 Since this is a fresh installation, we don't have any hosts currently being monitored. Edit each client's configuration file and define which services you would like monitored. Posted by: ASPHostServer Administrator - Sat, Jan 4, 2014 at 4:40 AM This article has been viewed 1985 times.